Come bask in tanning glory! This 12-minute mega-bed contains 48 body lamps, 4 shoulder lamps, and 4 face lamps. 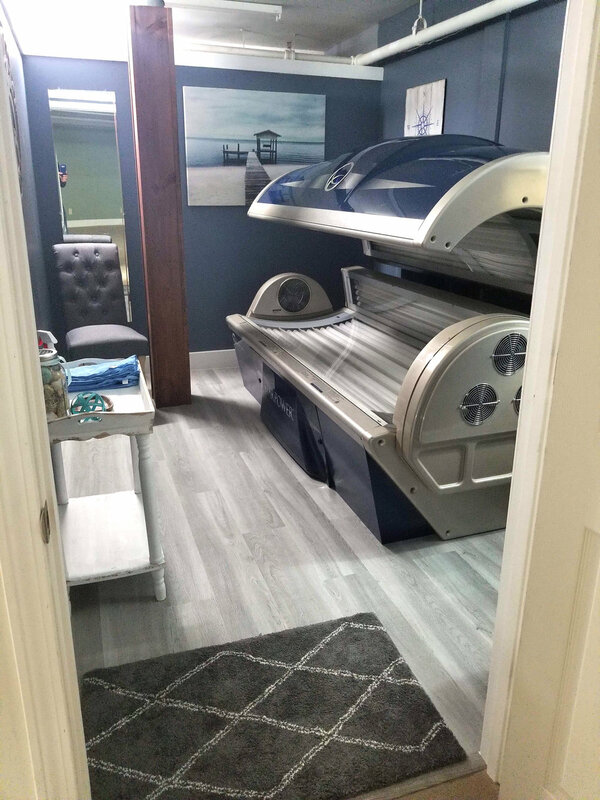 The ETS StarPower 52-4F Tanning Bed offers the most comprehensive coverage of any tanning bed on the market. An integrated Vortex fan helps keep you cool and comfortable as you work your way to a beautiful bronze tan. Single Use, Monthly & Annual Packages Available!